Too many upgrades to list! 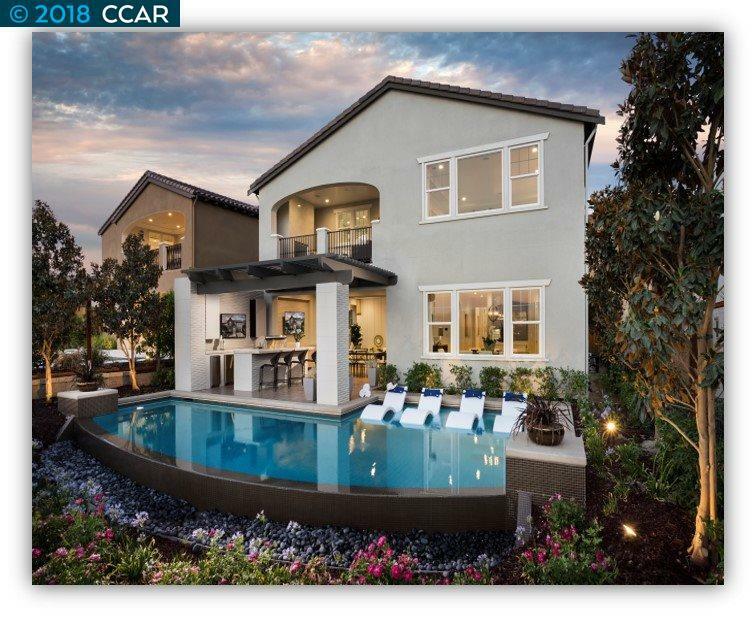 With over $700k of upgraded features, this model home is sure to impress. The first floor comes complete with hardwood flooring, detailed wall paneling, coffered ceilings, soft grey 10 ft. high cabinetry with glass inserts, white Quartz countertops, an extended kitchen and a full wood spiral staircase at the foyer. Highly coveted Taj Mahal Quartzite is used as both an accent wall behind the fireplace in the Great Room and outside in the Pergola Covered Kitchen and Bar. Completely tiled outdoor entertaining space leads to an Infinity Pool with Baja Shelf with lounge chairs. The Second Floor features a continuation of the hardwood flooring, an oversized laundry room, Master Bedroom Suite with Master Retreat TV Room, and a Master Suite Deck complete with outdoor Fireplace. This model home is sold as is with all interior dÃ©cor, finishes, electronics and solar included with purchase. This Model will be move-in ready by September/October.